PREACHING AND UNDERSTANDING WHAT THE GOSPEL IS! “The harvest is the end of the age, and the harvesters are angels (see Matthew” ‪13:39). After our most recent missions to Pakistan and seeing over 700,000 beautiful Muslim people receive the Gospel I have become pierced with a new love for understanding, preaching and presenting the simplicity and the power of the gospel. I think it is very important as believers for us to remember what and why we believe what we believe. My prayer is that in reading and maybe sharing this article many will be baptized with a fresh fire to go into all the world and release heaven on earth. God is now releasing the angels that gather and reap the harvest. These same angels remove every hindrance and obstacle to the harvest. One aspect of the angels’ roles, as we see in Hebrews 1:14 is to minister to those who will inherit salvation. In other words, angels are directly involved in the harvest. The word gospel means “good news,” which is the message of forgiveness for sin through the atoning work of Jesus Christ. It is essentially God’s rescue plan of redemption for those who will trust in His divine Son in order to be reconciled to a just and holy God. What, according to Jesus, was the purpose of his whole mission? What is the purpose of Christianity? “I came to call sinners to repentance” (Lk. 5:32). “I came to save that which was lost” (Lk. 19:10). “I came to destroy the works of the Devil” (see 1 Jn. 3:8). “I must preach the Gospel about the Kingdom of God. That’s what I was sent to do” (Luke 4:43). “We were bold in our God to speak unto you the gospel of God with much contention ... but as we were allowed of God to be put in trust with the gospel, even so we speak because we would not be chargeable unto any of you, we preached unto you the gospel of God.” (vs. 2,4,9). "Christ died for our sins according to the Scriptures. "That's the first fundamental principle of gospel truth. "and that He was buried." and that he rose again the third day according to the Scriptures. So those are the first two essential points of the gospel. "that Christ died for our sins according to the Scriptures; and that he was buried." The crucifixion of Christ and the burial of Christ. The resurrection is the proof of the power of God. We must remember that Christ did not just give us salvation so we don't go to hell. We must understand after receiving this gospel God has redeemed us to put heaven on the inside of us. The finished work of the cross and identity in Christ is an important part of the message on the other side of the cross. The gospel that Paul preached was about Jesus Christ, specifically his death and resurrection, and the good news that we can be saved through what he has done. Finally, Christ offers His salvation as a free gift (Romans 5:15; 6:23), that can only be received by faith, apart from any works or merit on our part (Ephesians 2:8–9). As the apostle Paul tells us, the gospel is “the power of God that brings salvation to everyone who believes: first to the Jew, then to the Gentile” (Romans 1:16). End Times and the Gospel! The true sign that Christ is near! (Acts 3:20-21) And he shall send Jesus Christ, which before was preached unto you: "Whom the heaven must receive until the times of restitution of all things, which God hath spoken by the mouth of all his holy prophets since the world began." 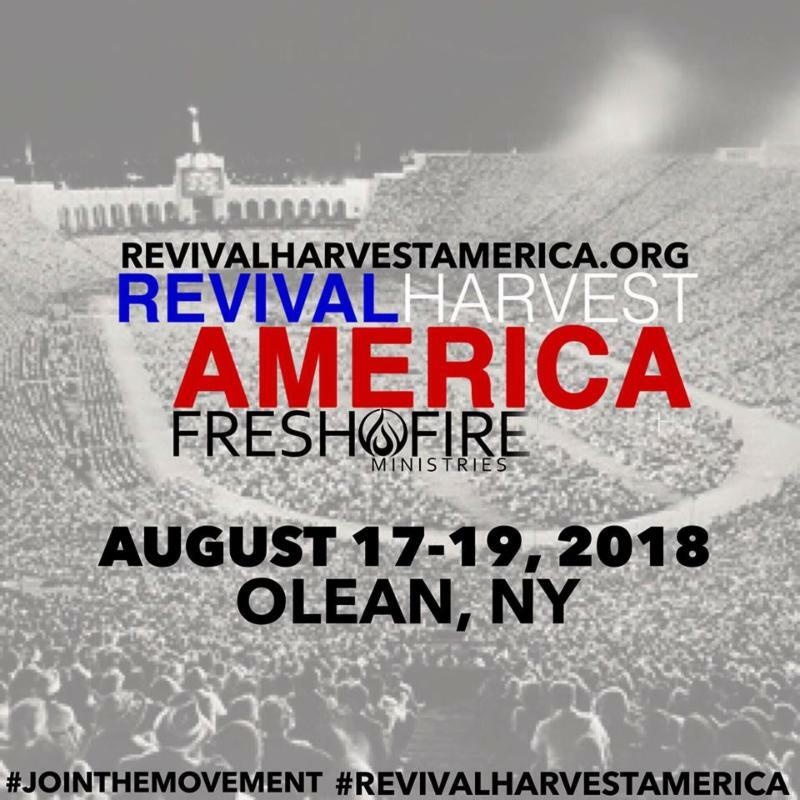 We are mobilizing a harvest regional stadium gathering in New York State in August 2018 where the fires of the second great awakening burned hot with Charles Finney. God has give us the money for the stadium, and we a quickly establishing an alliance of ministries and churches throughout the East Coast for a Harvest Power Crusade this summer. 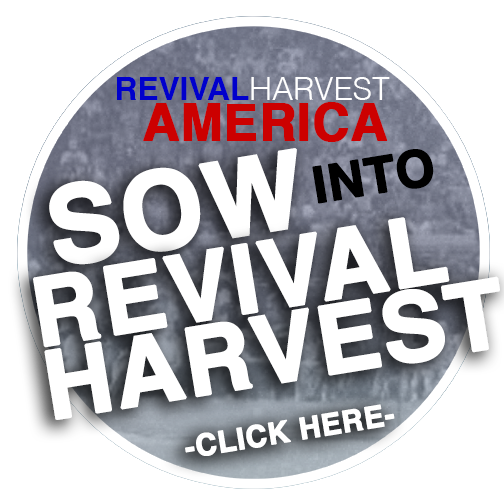 This will be the first gathering for our Revival Harvest America movement! We are training harvesters for the fields to do the works of the Kingdom! This strategic 3-day stadium gathering will be full of the Glory of God, preaching the Gospel with altar calls, healing ministry, taking it to the streets, and feeding on the city! We want to see the prayer, worship, and harvest moments converge together to take cities and regions for God! 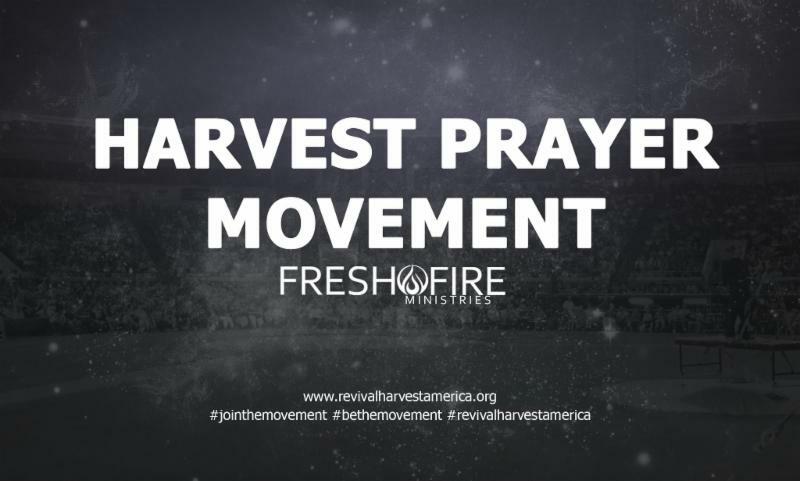 Visit Revivalharvestamerica.org and join the movement!